I traveled today to the Valley Sentinel in Carlisle, Pennsylvania (February 6, 1912) where I encountered an interesting article entitled “Hobos In Convention” which was being presided by “Millionaire Hobo” James Eads How. This intrigued me to see if there was further information about Mr. How. I found that he truly was a millionaire who dedicated his life to the homeless and migrant workers, published the Hobo News, organized the International Brotherhood Welfare Association, hobo colleges and hobo conventions. 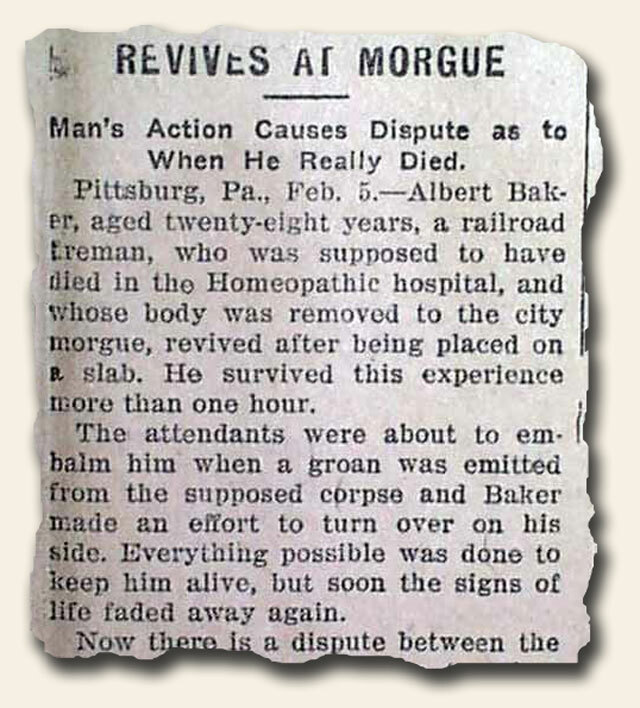 Another article is of a man who had died at the Homeopathic hospital and then taken to the city morgue. 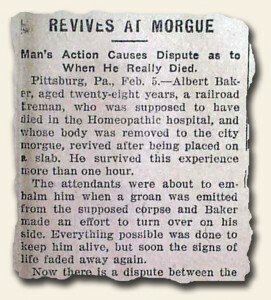 As he was about to be embalmed, he emitted a groan and tried to turn on his side. 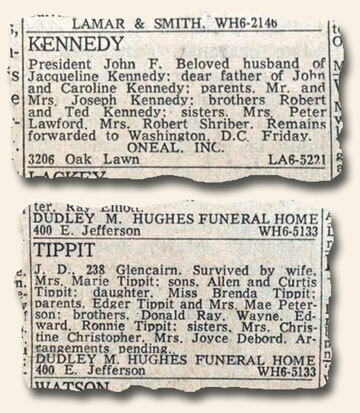 Every effort was taken to keep him alive, but signs of life faded away again. Now the dispute is going on between the police and the hospital as to when he really died.